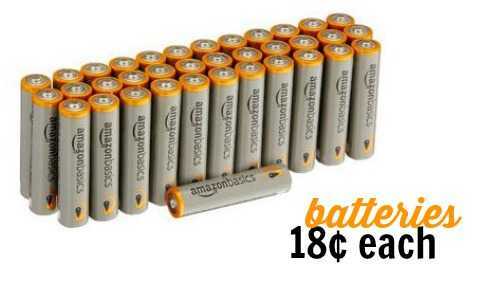 You’ll probably need new batteries over the holidays and here’s a deal from Amazon! Right now get the AmazonBasics AAA Performance batteries (36-count) for $6.55! That makes each battery 18¢! Plus, these batteries have great reviews. This price is for the Subscribe & Save option, but you can modify your S&S offers at any time. Shipping is FREE with Amazon Prime or with orders of $49 or more.